I have an exciting announcement to make! If you are following my twitter you will already know this was coming but I now officially have more than 10,000 youtube subscribers! I feel like this is such a milestone because blogging was always my main thing, and when I decided to make youtube vids I really was welcomed with open arms. Many of you know that youtube is a bit of a scarier world than blog because there are so many people who come across your videos without bothering to get to know you (or your blog) and leave nasty comments. All in all, I feel that I have been overwhelmed by all of the positivity in the comments on youtube and when I post videos here. I can feel the outpouring of love when hater comments are quickly given thumbs downs by my loyal readers and I am really grateful for you, whom I consider my friends, for supporting me even when I am not there beside you. 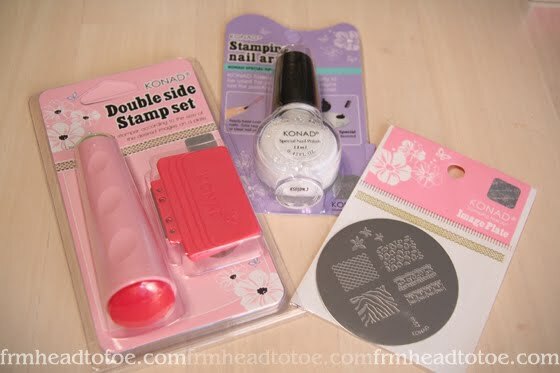 The Konad items, my hand-picked favorites provided by www.wowsocool.com! 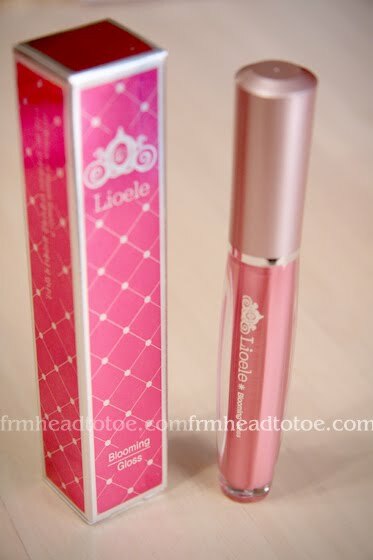 Brand new Lioele Blooming Gloss in Vanilla Pink provided by www.prettyandcute.com. Also forgot to mention this in the video, but Pretty and Cute is additionally providing a $10 gift certificate to anything in their store! The contest will run for just 1 week and ends April 25, 2010 at 11:59PM Central Time and there will be 1 winner. It is open to everyone domestically and internationally. Just be a youtube subscriber and comment on the comments section of the youtube video I posted. Again, I just wanted to say THANK YOU SO MUCH for following, subscribing, and reading. I feel truly blessed and humbled that anyone would read or watch and I want you all to know that I'm not one to do giveaways for the sake of getting more subbies, which is why I don't do them very often. I really genuinely want to do this as my way of saying thank you for all of the love and support. I couldn't be doing this giveaway in the first place without you. I only started blogging and youtubing because I wanted to help people and you remind me every single day that I can fulfull that goal. Thank you, thank you, thank you! Just for kicks, I know this won't go toward any giveaway chances but I always feel so moved by your words, so please tell me in the comments: What is one thing you are thankful for when it comes to blogs and youtube? One thing I'm grateful for when it comes to youtube and blogs is the person that even posts blogs and videos on youtube. I'm not sure of others, but I subscribe and follow people with a great personality, and when I see negative comments about "imperfections" or how "unoriginal" they are, it bothers me so much that there are people that can't hold their tongue. It's inspirational for me to see youtubers and bloggers continue on even stronger. Also, the fact that the youtubers and bloggers do share very useful information is a huge plus. =D! I'm grateful for blogs and youtubes cause I get to know about people that I would never get to know. And learn a bunch of new things from them and be inspired. Youtube is my source of stress reliever and when i'm feeling sad or down. I read blogs (makeup/fashions/ect.) while i'm at work. Without blogs, I don't know what I would do. with the kind of job which all I do is sit all day at a computer, I need blogs to keep me sane :D.
Oh yeah cool prizes. I like your blog..it has a lot of nice helpful beauty tips. I use your tips all the time. Like for eye makeup, and nails! (: So thx for all the nice advice. HI JEN! i really really love how genuine and wholesome you are. It makes watching your tutorials and following your blog such a pleasure. keep up the good work and congrats on reaching such a vast audience :) have a great day~! Congratulations!!! I am thankful for youtube and blogs because they have given me so many wonderful tips. I don't have any Asian friends and I often feel inadequate about the way I look (my eyes seriously look like this: O_-), but bloggers/youtubers like you have helped build my confidence. I hope thousands more people discover your blog and videos and get inspired! Congrats! you're talented and helpful and you deserve it! I've only discovered your youtube channel in recent months through searching for natural makeup and find your tips and tricks very helpful. I'm addicted! what color eyeshadow are u wearing? Congratulations, Jen! I am so thankful for blogs and youtube because for the longest time I didn't know how to apply makeup to my Asian eyes. Since there are so many great Asian gurus, I've learned so much from them and now I don't look like I have just painted on lines of eyeshadow. lol. I'm really thankful that there are people in the world, like you, that make videos to help other people, whether it be with makeup or clothes, or how to's with anything else. You guys come up with great ideas and I think you help some people try new things they would not have done before. one thing i LOVE is all the great people i've met! all sharing information, getting through good times and bad. your makeup looks so pretty here~ What did you use? Do a tutorial! Yay congrats! You look awesome as always. I love youtube/blogs--they're great for learning new things, finding out about new products, and often for building new friendships! Continue the awesome work~ love the blog!! wow that's a lot, congratulations! I tried posting a comment on your video but there was an error so I posted it on your profile. that okay? it's rare i comment here as i am a pretty private person (and btw thanks for allowing anon comments). i'd want to congratulate u on 10k subscribers which is amazing. Reading ur blog is enjoyable b/c u got such an infectious positive personality. your honesty (esp. the recent Easter one) and kindness (u always take time to answer every question!) comes through your blog entries which is admirable to me. 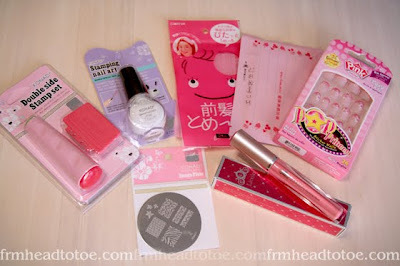 i think that is what makes me come back to read ur blog compared to many blogs out there even though i rarely use/try items u use in ur blog (no offense, pls...i am really watching my pocket.) :) congrats again. Aw great giveaway! One thing I am grateful for is the person who is behind it all for taking the time to do videos, post blogs and just sharing ideas and just really taking time out of their hands to do this. Being a stay home mom, 2 kids and a marine wife, it's a bit hard to have time for myself so watching youtube and reading blogs kills lots of time and I'm always so fascinated with new products coming out youtubers and bloggers just sharing ideas and giving great useful information. It's just so awesome so keep it up girl! And congrats for your 10k! I enjoy following you and watching your tutorials. oops didn't include this in the comment on youtube, but i thought you'd like to know. 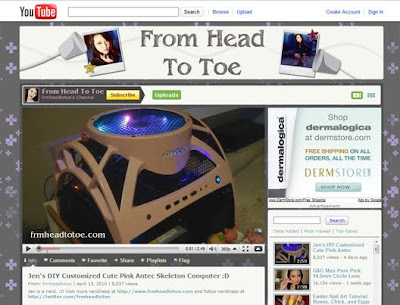 I am grateful of blogs and youtube to be able to bring information on tutorials and reviews. Sometimes having someone review a product is better than just saying you like it. This is a lot of fun for all the youtuber's.Nice prizes, we are thankful too for all the information and for all the tutorial.There are lots of ideas,thanks for sharing and hope you'll get more youtube views. Good luck!!! Happy Easter & Easter-themed Nail Art Tutorial!